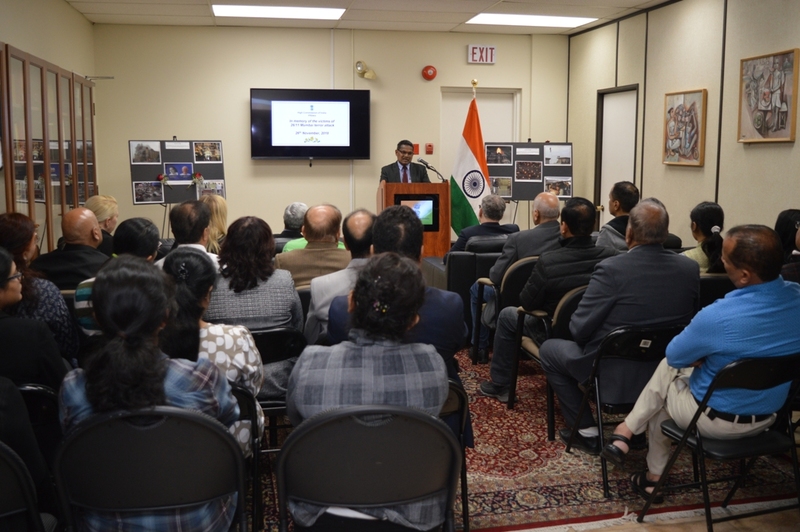 High Commission of India, Ottawa organised a solemn event "in memory of the victims of the 26/11 Mumbai terror attacks" at the Chancery premises. It was attended by Ambassador Donald Bobiash, Assistant Deputy Minister, Asia Pacific, Global Affairs Canada and his team from Asia Pacific Division consisting of Mr. David B. Hartman, Director General, Ms. Gillian Frost, Executive Director, and Ms. Kathy L. Bunka, Deputy Director besides prominent members of Indo-Canadian community. 2. 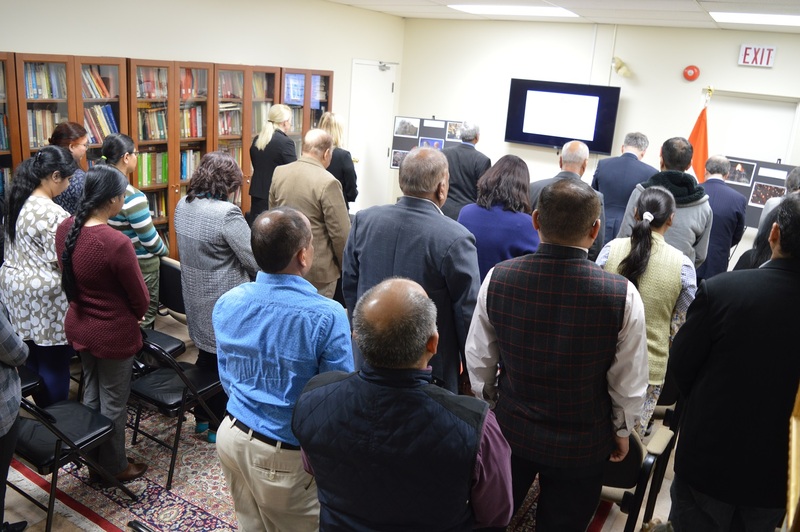 To honour the memory of the victims, a moment of silence was observed by the attendees. 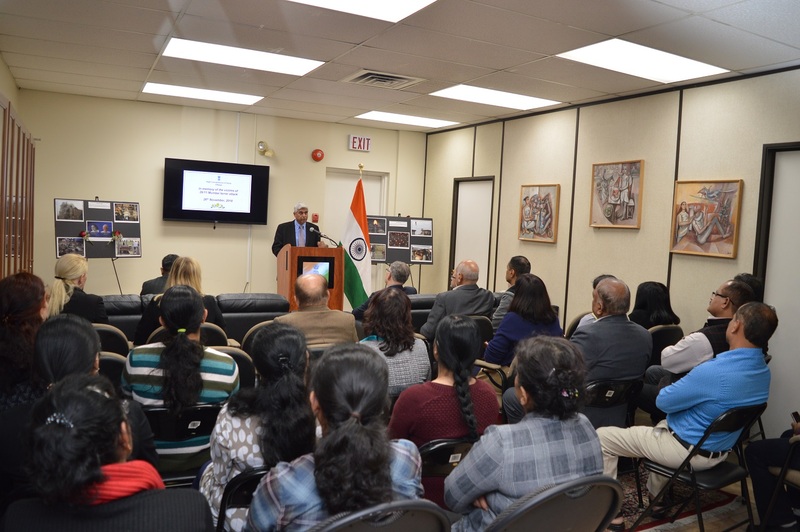 Remarks on the occasion were delivered by High Commissioner, Vikas Swarup and Ambassador Donald Bobiash. During his remarks, HC Swarup paid tributes to the innocent lives lost during these attacks which included Indians and citizens from 14 other countries, including two from Canada. He condemned terrorism in all its forms and manifestations and urged the international community to ensure that the perpetrators of this heinous terrorist attacks are brought to justice. 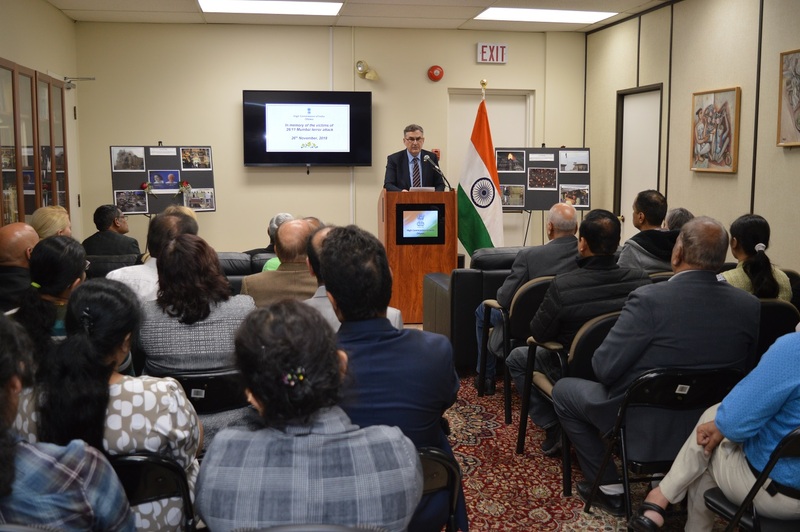 He thanked the Global Affairs Canada for showing solidarity with India in the fight against terrorism. Ambassador Bobiash conveyed condolences to the victims of the tragic incident and praised Indian resilience in the fight against terrorism. 3. Extracts from an email message sent on this occasion by Ms. Ailish Moss daughter of one of the two Canadian victim in this tragedy was read out by Deputy High Commissioner, Arun Kumar Sahu. The event was live streamed on the Facebook page of the High Commission and Ms. Moss who watched it from England thanked HCI in an email for filming the event which she watched with her family and expressed gratitude for our efforts to allow her in some part to feel connected to the ceremony..
4. The memorial event showed that the international community is united in the fight against international terrorism.